The first Shaolin Buddhist Temple was built in 377 AD on Shaoshi Mountain (少室山) in Deng Feng (登封) county of Henan (河南) province, by order of Emperor Wei (魏). Bodhidharma (菩提達摩), or Da Mo, came to Shaolin from India to teach Buddhism around 527 AD. The first Shaolin Buddhist Temple was built in 377 AD on Shaoshi Mountain (少室山) in Deng Feng (登封) county of Henan (河南) province, by order of Emperor Wei (魏). Bodhidharma (菩提達摩), or Da Mo, came to Shaolin from India to teach Buddhism around 527 AD. Additionally, he passed on techniques of strengthening the body and mind, and developing internal energy. The improved body power and health encouraged the monks to develop ways of applying the teachings in self-defense situations against thieves and robbers. Consequently, martial techniques became a required addendum to the monk' studies. From 600 to 1600 A.D., the martial arts of the Shaolin Temple grew into the most complete system of Wushu (武術), martial techniques, in China and eventually, the rest of the world. During this period, the Shaolin monks researched and developed internal power, external power, meditation, various barehand and weapons techniques, massage, herbal remedies, and more. The Shaolin system soon came to be recognized as the authoritative way of Wushu. In this period, more than ten Shaolin Temples were built. Moreover, especially during the Ming Dynasty (明朝, 1368-1644), the monks and their Wushu system were also viewed as agents of virtue and justice. Shaolin monks were known to use their martial abilities to help and to protect people. The Shaolin way became so influential that it even spread to Japan, Korea, and other parts of Indo-China. The oldest recorded martial art in Japan is described as the "seizing technique of the Ming [Dynasty] people" (明人捕盗術) or the "soft technique" (柔術). This “soft technique” was taught by a Chinese monk named Chen, Yuan-Yen (陳元), who spent much of his life in Japan during the Ming Dynasty. Chen's soft technique later developed into the "soft way," or Judo. In 1644, disaster struck the Chinese people and the Shaolin Temple. Manchurians invaded and conquered China, thus starting the Qing Dynasty (清朝). In order to consolidate their control, the Manchurians began to destroy the largest martial arts organization in China: the Shaolin Temple. Two hundred years of murder and destruction followed the invasion of the Manchus. Around 1760, a massive attack was launched against the Shaolin monks which resulted in the death of countless people and the burning of many temples. Many monks went into hiding amongst the laymen people. Others fled to Japan, Korea, and elsewhere. Never again was the Shaolin Temple to regain its original strength and greatness. With the dispersion of the Shaolin monks and the destruction of their temples, it became impossible to train new monks in the complete Shaolin system. However, the monks who were in hiding began to teach people the Shaolin system all over the country, leading to the derivation and creation of many modern styles. Although all of the Shaolin monks followed and trained a common martial arts system, many different styles were developed by their students. The reason this happened may be traced back to the original training regimen of the Shaolin monks. Every monk was required to pass ten separate stages of training, each of which emphasized a different aspect of Wushu. After the monks completed the stages, they were required to specialize in one or two stages. Consequently, when the monks taught ordinary people, they naturally put more emphasis on their specialty. As time progressed and generations passed, the styles practiced by the different groups of students became more and more distinct. Furthermore, because the different groups of students oftentimes had no contact with one another, primarily due to the monks being in hiding and the oppressive Manchu rule, the students of monks who shared common specialties still ended up developing unique, although similar, styles. Many of the monks did more than teach Wushu to ordinary people. The monks and their disciples organized resistance movements against the Qing emperor. During this time, the reestablishment of the previous Ming Dynasty became the goal of many Chinese people. 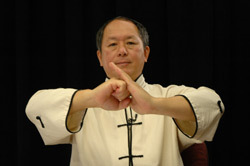 To symbolize the wish to return to the glory of the Ming, Shaolin disciples used a special hand signal to recognize sympathizers of the resistance. In Chinese, the word Ming (明) means "bright" and comprises of the characters for the sun (日) and the moon (月), the two great sources of light and brightness. The signal consisted of the right hand as a fist, symbolizing the sun, and the left hand as an open palm, symbolizing the moon. Together the fist and open hand carried the meaning of “bright,” or Ming (明). When a person displayed the hand signal to another, he indicated two things; first, the Ming dynasty must return, and second, the person showing the hand signal was himself "bright" and an agent for justice. Even though the Shaolin Temple was never to regain its former greatness, it did begin to resume some activity around the 1800s. At the turn of the 18th century, corruption was widespread in the Qing Dynasty. As a result, the regime was weak in enforcing its rule. In addition, the military and economic invasion of China by the Western powers of England, France, and Russia kept the Qing emperor occupied. The Qing emperor was forced to spend many of his resources in the fight against the Westerners such that the Shaolin Temple was able to operate once again with some freedom. The Shaolin Temple was also able to regain some momentum because around 1860, the Qing army first began to use firearms on a widespread scale. With guns at their disposal, the Qing rulers had a tremendous advantage over the monks, and the Qing authorities felt confident in their ability to overcome the monks at any time if they felt it was necessary. Also, because of the previous years of persecution, the Shaolin Temple had already lost many outstanding and knowledgeable martial artists. The loss was irreparable, and the Shaolin Temple was significantly weaker because of it. While Shaolin was still considered the best martial arts system in China, it had been nevertheless diminished. The Qing rulers felt that the Shaolin system posed no major threat to their safety or rule. Unfortunately, dude to the circumstances, fewer and fewer people took an interest in martial arts. With the advent of the gun and the aggressive import of Western culture, the Chinese people began to ignore the study and practice of martial arts. Fewer people were willing to devote themselves to the ancient study. Finally, in 1911, the Chinese people ended the tyranny of the Qing dynasty in a revolution led by Dr. Sun Yat-Sen (孫逸仙). After the revolution, seventeen years of civil war occurred before the country was reunited. During the reunification of the country, the Shaolin Temple was to receive its final tragedy in 1927. 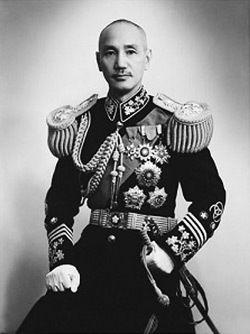 In that year Chiang, Kai-Shek (蔣中正) began the reunification of China by launching the now famous Northern Expedition (北伐, 1926-1928) to rid the country of the numerous warlords who stood in the way of a unified China. In Henan province, home of the main Shaolin Temple, Chiang, Kai-Shek appointed General Feng, Yu-Xiang (馮玉祥) to fight the warlord Fan, Zhong-Xiu (樊鐘秀). The attack on Fan, Zhong-Xiu was, in the end, catastrophic and terminal for the Shaolin Temple. At the time of Feng's offensive, which was commanded in the field by lieutenant Shi, You-San (石友三), the warlord Fan was intimate friends with Miao-Xing (妙興), the headmaster of the Shaolin Temple. Miao-Xing was an extraordinary monk who was proficient not only in martial arts, but many other disciplines as well, such as classical literature. But Miao-Xing was also vain in his passion for wanting to associate with important people. His vanity led him to befriend the warlord Fan, Zhong-Xiu. When Shi's troops routed Fan's army, Fan was forced to flee to the Shaolin Temple where he received protection from Miao-Xing. Miao-Xing ordered the Shaolin monks to protect Fan and fight against Shi's troops. While the monks were good fighters, the superior arms of Shi's troops overcame them. When victory came, the soldiers were so enraged by the action of Miao-Xing that they burned the Shaolin Temple, killing many monks and destroying countless ancient manuscripts. Miao-Xing died in this battle. This terrible tragedy was the final burning of the Shaolin Temple. When the Shaolin Temple was still active in this century, a famous martial arts organization arose in Shanghai. In March of 1909, Huo, Yuan-Jia (霍元甲), who was taught the martial arts style Mi Zong Yi Quan (迷蹤藝拳) by his father, Huo, En-Di (霍恩第), arrived in Shanghai from Tianjin (天津) and founded the Jing Wu Association (精武體育會) to preserve traditional martial arts. However, in August of the same year, Huo, Yuan-Jia was poisoned to death. This has been the subject of several films including "Fist of Fury" and "Fearless." Undaunted by Huo's death, followers of Huo, Yuan-Jia continued to operate the Jing Wu Association, inviting several famous masters to teach at their school, including Chen Zi-Zheng (陳子正) of the Eagle Division (鷹爪門), Luo, Guang-Yu (羅光玉) of the Northern Praying Mantis Division (北螳螂拳門), Geng Xia-Guang (耿霞光) of the Xingyi Division (形意門), and Wu, Jian-Quan (吳鑑泉), founder of Wu-Style Taijiquan (吳式太極拳). Although the Jing Wu Association was forced to close during World War II, it was eventually reestablished and did reopen after the war. Today there are over 150 branches around the world, including the one founded in Hong Kong in 1918. When the country was finally united, the government began an active program to revive and reorganize Wushu. In 1928, the Nanjing Central Guoshu Institute (南京中央國術館) was founded for the purpose of consolidating Wushu by bringing great masters together under one formal organization. 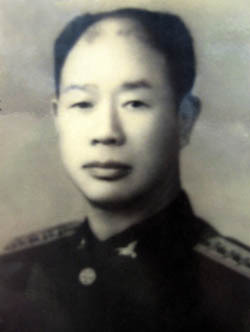 Zhang, Zhi-Jiang (張之江) was the institutes's first director. Since that time, Wushu has often been referred to as Guoshu (國術), which means "country technique." This name displayed the people's pride in Chinese martial arts, and pride in China itself. The masters who were invited included Gu, Ru-Zhang (顧汝章), Wan, Lai-Sheng (萬籟聲), Fu, Zhen-Song (傅振嵩), Wang, Shao-Zhou (王少周), and Li, Xian-Wu (李先五). They specialized in Northern Shaolin (北少林), Nature Division (自然門), Bagua Division (八卦掌門), Li Hua Spear (梨花槍), and Tan Tui Division (潭腿門), respectively. These masters came to be known as as the Five Northern Tigers (五北虎). Also influencing the Central Guoshu Institute were Geng, De-Hai (耿德海) of the Ta Sheng Division (大聖門), Dong, Ying-Jie (董英傑) of Yang-Style Taijiquan (楊家太極拳), and Sun, Yu-Feng (孫玉峯) of the Luo Han Division (羅漢門). The Jing Wu masters that were previously mentioned also greatly influenced the Central Guoshu Institute's course of instruction. These masters rose to the occasion and overcame age-old prejudices to collaborate and share, side-by-side, the best techniques of each division. For this reason, the primary style developed at the Central Guoshu Institute consisted of many elements from separate divisions. This diverse style, which also contains elements of what survived from the fall of the Shaolin Temple, is commonly what we see in today's Long Fist Kung Fu (長拳功夫). In just a few years, the Central Guoshu Institute became the most reputable martial arts organization of its time. Later, the Five Northern Tigers were sent to Canton to help General Li, Ren-Chao (李任潮) organize another Guoshu Institute. This time, famous Southern masters were invited to attend. This group of master included Lin, Yin-Tang (林蔭棠) of the Mo Jia Quan Division (莫家拳門), Tan San (譚三) of the Cai Li Fo Division (蔡李佛派), Lin, Yao-Gui (林耀桂) of the Dragon Style Division (龍形派), Zhang, Li-Quan (張禮泉) of the White Brow Division (白眉派), Lin Shi-Rong (林世榮) of the Hung Gar Division (洪家拳 ), and Wu, Zhao-Zhong (吳肇鐘) of the White Crane Division (白鶴拳). At this new institute, Northern and Southern styles were mixed together, resulting in the creation of newer, effective, more versatile techniques. In 1937 disaster struck again when Japan invaded China, thus starting World War II. The institutes were closed and many of its members joined the resistance against the Japanese. During the eight long years of war, many masters and students were killed. Those that survived taught and studied whenever they could. It was during this time that YMAA Long Fist Grandmaster Li, Mao-Ching (李茂清) began his training. After the Communist takeover of mainland China in 1949, many Wushu masters left for Hong Kong or Taiwan, where they could practice their art with greater freedom. During the exodus from mainland China, a new generation of Wushu instructors stepped up to take the responsibility for teaching traditional Wushu. Grandmaster Li, Mao-Ching is a part of this generation of instructors. Master Li's main instructor, Han, Qing-Tang (韓慶堂 , 1903-1976) was a second generation martial artist who graduated from the Nanjing Central Guoshu Institute. 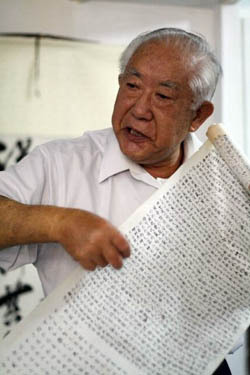 Master Li also studied under the Northern Praying Mantis and Chinese wrestling expert Fu, Jia-Bin (傅家賓). Additionally, he studied Sun Bin Quan (孫臏拳) under Gao, Fang-Xian (高芳先). There is much more to tell of the history of Chinese Kung Fu, but this short history should help to provide some insight into the development of Wushu and Long Fist throughout its known, recorded history. Today, many styles exist with a plethora and diversity of theories and techniques. Even though the styles are different, each carries on the great tradition of the original Shaolin system in its own way. Long Fist Kung Fu is discussed in greater detail in the DVDs Shaolin Long Fist Kung Fu Basic Sequences and Shaolin Long Fist Kung Fu Intermediate Sequences.